You’re gonna love this vegan and paleo recipe for roasted butternut squash with smoked paprika and turmeric. Not only is it gluten-free but only takes 10 minutes to get it in the oven. I wrote this recipe in about 90 seconds. Okay maybe it took two minutes. It only took me 10 minutes to get it in the oven. And the photos just happened. Like that. It was no effort at all. Thank goodness, because I am completely in the weeds. But then I get here to my computer screen and I don’t know what to call this recipe. 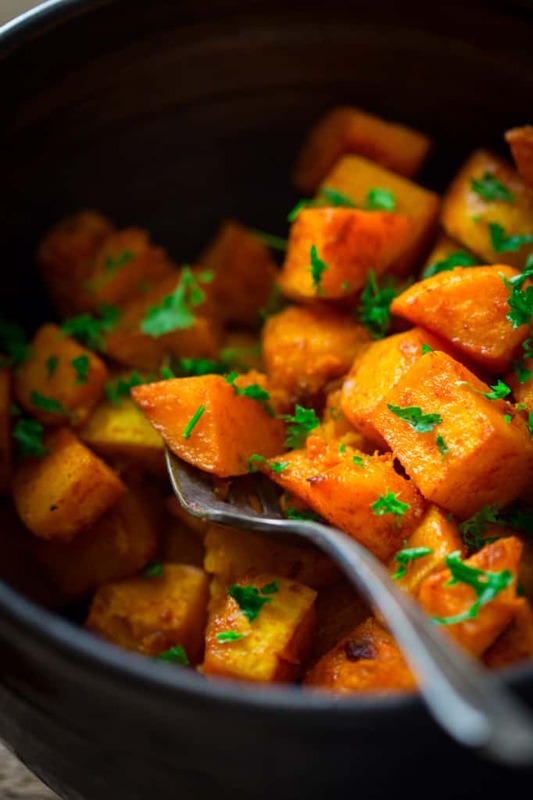 Calling it simply “Roasted Butternut Squash” would be a huge disservice to this magical dish, and ignoring the fact that it has so much added flavor. Calling it smoky would work for sure, because it is. But it is so much more than that. Other name contenders were “Umami Roasted Butternut Squash.” “Savory Butternut Squash” (I’ve already sort of used that one.) And even “The Best Roasted Butternut Squash.” It’s not that I don’t think it is the best roasted butternut squash, it actually is, it’s just when I go and make a statement like that I feel like I have to come up with a long list of reasons why it is the best, and I am just not up for that right now. Ultimately, because I just needed to get something on paper I named it Roasted Butternut Squash with Smoked Paprika and Turmeric. I know. Lame. But I did. Even though a gigantic name like that makes it sound complicated or fancy. It isn’t. ‘Cuz I just said it only took me 10 minutes to get it in the oven. If you have sensitive skin, you may want to wear vinyl gloves to peel the squash because it has so much Vitamin A in it, it will actually cause the skin on your palms to peel a bit! Cut the stem off the butternut squash with a sharp Chef’s knife. Then cut off the bottom. Peel the butternut squash with a sharp vegetable peeler. Cut the squash in half lengthwise (from stem-end to base) and scoop out the seeds and fibers with a spoon. Cut the squash into cubes and then toss with the spices and oil. 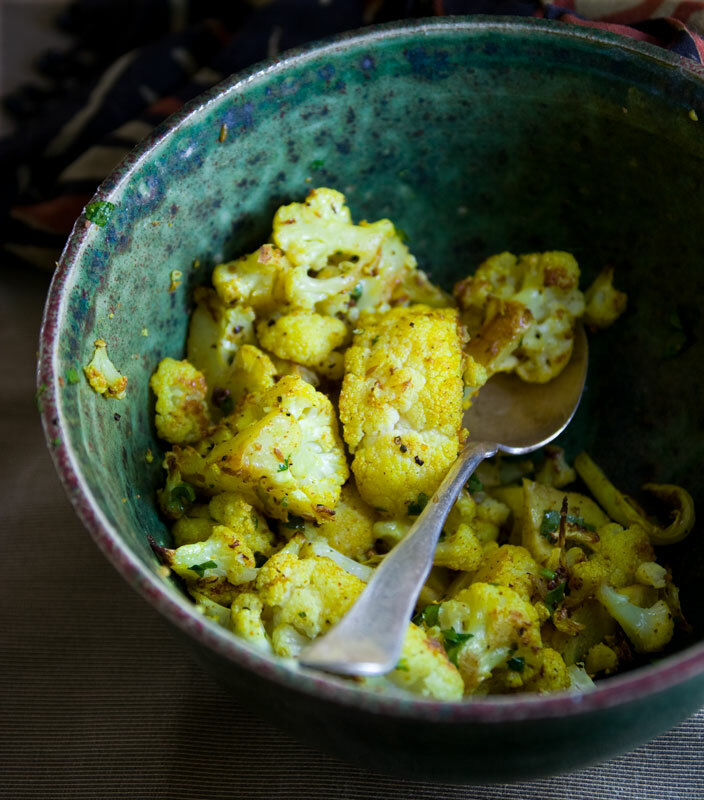 One of the other really cool things about this recipe, besides the fact that it’s so dang easy, is that it has turmeric in it, which is gaining in popularity. That’s probably due to the fact that, scientific evidence is pointing toward potential health benefits like anti-inflammatory properties from the curcumin in it. Roast the butternut squash at 375 degrees. A hotter oven will over-brown the squash before it is tender all the way through. That is due to the naturally occurring sugars in the squash. Once it comes out of the oven, add on some parsely for a bit of color if you like. This squash can be made ahead and reheated. Either in the oven or microwave. So it makes a great meal prep side or to serve on Thanksgiving. So that’s all there is to it. It is yummy, smoky, savory. The best. It is also paleo and vegan and gluten-free and hashtagarama. Easy. I could go on. Okay, enough already. I have to get back to those weeds. Now it is your turn. What do you guys think? What would you have named this? Thanks for reading! If you’re new here you may want to sign up for my email list or follow me on facebook to keep up with the latest posts. And if you try this recipe, please come back to give it a star rating and review! 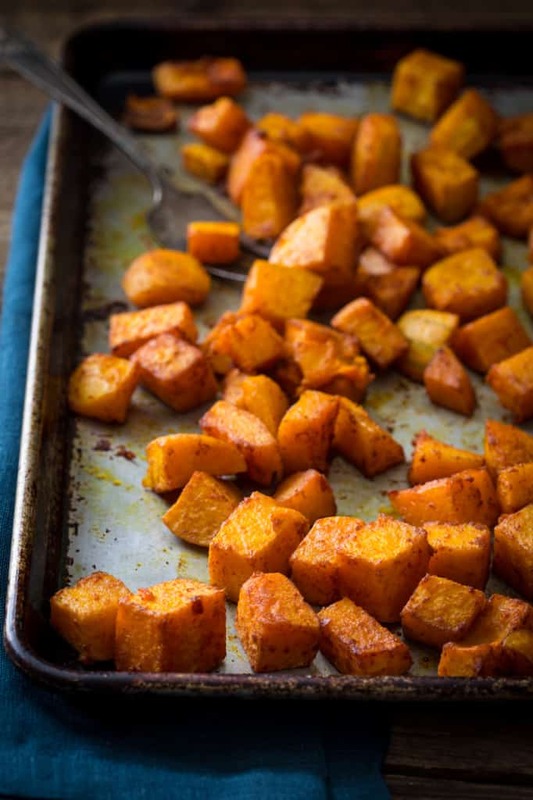 Vegan and paleo recipe for roasted butternut squash with smoked paprika and turmeric. Gluten-free and only takes 10 minutes to get it in the oven. 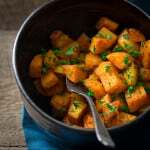 Toss squash cubes with oil, paprika, salt, turmeric and garlic powder in a large bowl to coat. Spread out on a large rimmed baking sheet. Roast, stirring once or twice, until the squash is tender, and starting to brown in spots, 32 to 37 minutes. Yay, plenty of squash! That’s how you know it’s fall, for sure. 🙂 I love how simple this is– perfect as a side for an otherwise complicated Thanksgiving dinner. I agree EIleen. I need to head back to the farmers’ market for more squash! Thanksgiving would a great time to make this, though with oven space at a premium it could be tricky. I did reheat the left-overs in the microwave and it was great if you do decide to go that route. I am well David! How are you friend? Thanks for coming by to see this recipe, and thanks for the compliment. Try it! It’s so easy. 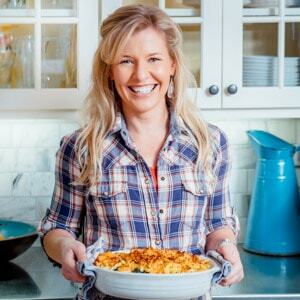 I can’t get enough of pumpkin or squash these days…this is a simple yet very flavourful and delicious dish, Katie. I know what you mean Angie. I was wondering if I had a vitamin A deficiency or something. I can’t get enough either! I think I am in love with this dish Katie. 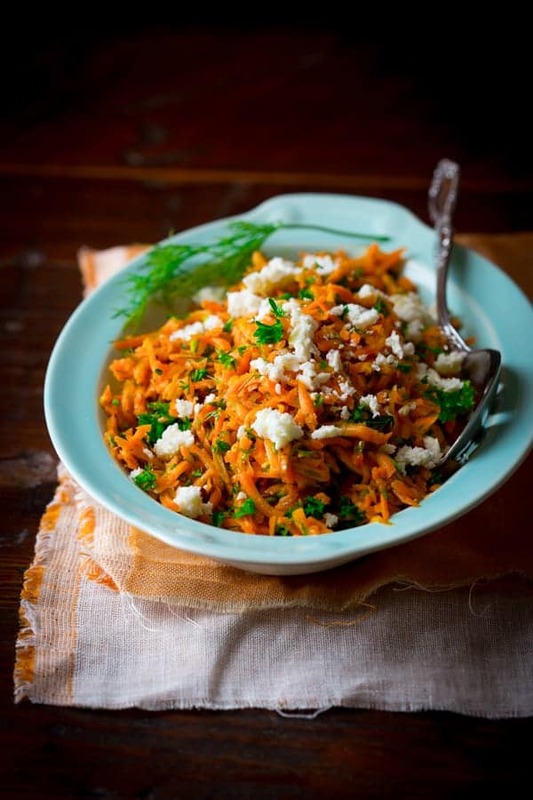 Roasted butternut squash with smoked paprika and turmeric sound too good to be true! Thank you Mike. It is tough to not love easy recipes like these. I have been using smoked paprika and turmeric on everything lately. It is my new secret combo. 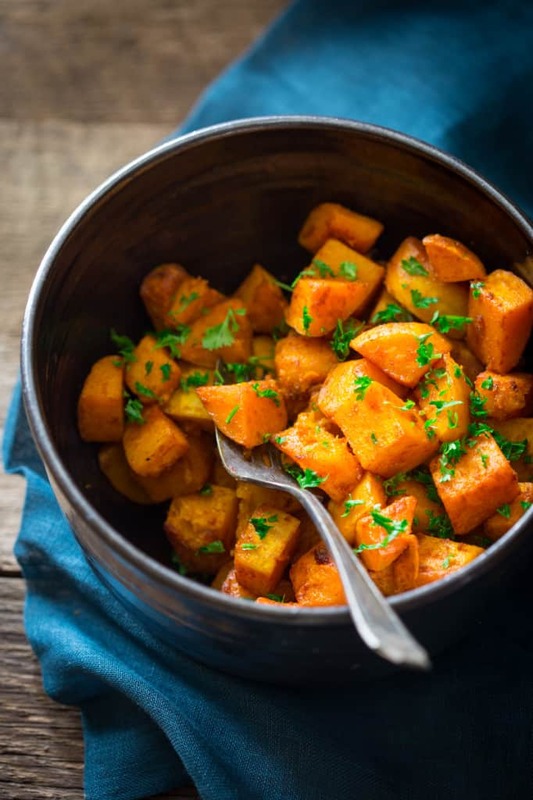 OOh- this sweet butternut squash balanced with a little heat from the paprika and the smokiness of the turmeric has me hooked – love this simple and flavor-packed dish!! Thank you so much Shashi. Glad you like it. This looks delicious. I don’t know why, pumpkin and turmeric just go so well together!! Yes I agree! It is a great combo! Thanks so much for coming by Emmanuelle. I found this on Pinterest and just made it. It is SO GOOD. Thank you so much for your informed reply. I am being driven to distraction by people who write “I love this idea! I plan to make it soon”. Who the hell CARES if they are going to make it? I’m looking for real feedback. yummy yum. 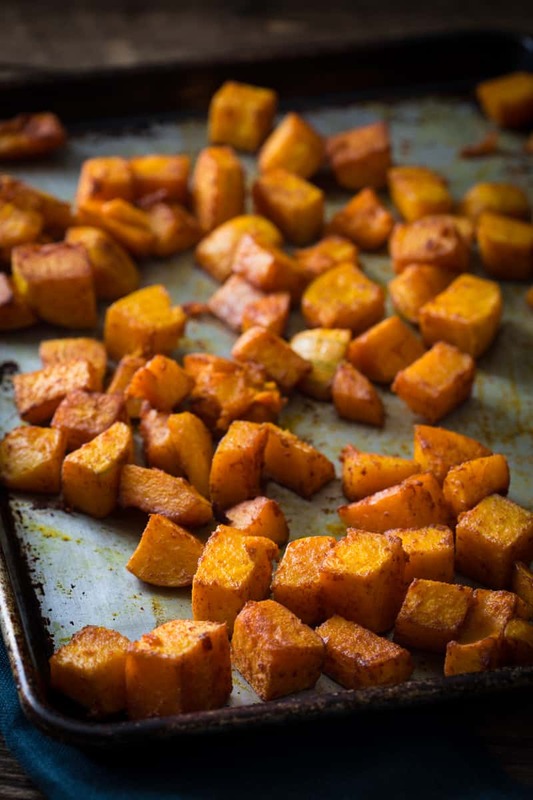 simple roasted with simple seasoning is one of my favorite treatments of butternut squash (or really, uhh anything). i like your pairing of smoked paprika with bright vibrant turmeric! i’ll be keeping that in mind. thanks for sharing! I love finding new ways to cook squash. Definitely will try this. However, how do you peel and cube the raw squash? It is a chore to cut into wedges and some bigger pieces, which I do in order to boil it. But to cut into small pieces and peel raw seems a huge task to me. When I cook butternut squash, I boil it first at least for a bit to make it softer and easier to peel and cut smaller; then I roast. Would that work for this recipe? I don’t want to make it too soft and lose on texture. Hi Maya, thanks for your question. I am sure others are wondering the same. To peel the squash leave the entire raw squash whole. Use a good vegetable peeler to peel the entire thing. Careful! It will get slippery! Then cut in half lengthwise, scoop out the seeds and pulp with a spoon. Then cut into cubes. Enjoy! Oh my goodness this was unbelievably fantastically delicious! Thank you, thank you! I am so thrilled to hear it. I love this recipe too! Best recipe ever! The flavor is amazing. So quick & easy to make. So I’m making it again for dinner tonight! Thanks for sharing! I do not frequent any blogs, but I do plenty of perusing Pintrest…this is how I stumbled upon this recipe, when I was planning for Christmas dinner. I just HAD to find this post again so that I could let you know how amazing this recipe is. My mother and my in-laws are less adventurous than my husband and I and none of them were big fans of squash. I found this recipe when planning my menu and knew that we couldn’t tell ANYONE that we were making squash because we’d get moans and groans galore. I put it on the table (SO EASY!!!) and everyone dug in, believing that my squash was sweet potato. My brother in law was the first to ask what it was and everyone was STUNNED to know that they loved squash. I’m so sorry for the lengthy comment but I’m obsessed with your recipe and I needed you to know!! 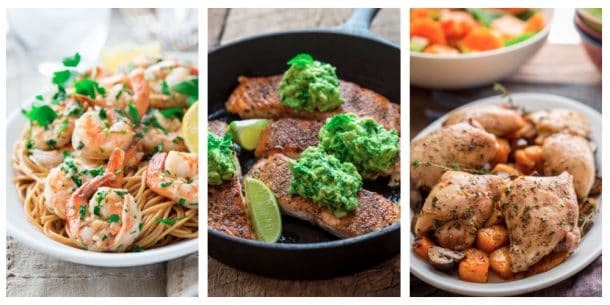 I’m always searching for healthy AND delicious recipes and this post did not disappoint. Thanks so much!! You are a rock star for coming back and reporting to us! Thank you and I am thrilled to hear you converted so many folks to the squash loving side of life! That’s so great to hear Vero. Have a wonderful day. And please let me know if you do try it! This was absolutely delicious! Almost all of the squash recipes I’ve found are full of brown sugar and cinnamon. I don’t like sweet vegetables. This was such a great change of pace. Thank you for posting it. We never eaten butternut squash. Crazy, right? This recipe was easy to prepare and tasted great! We especially liked the smoky flavor. I’ll definitely be making this again. Thank you! That’s absolute music to my ears! I love hearing that you loved butternut squash the first time you tried it. I appreciate your coming back to say so. It’s such a treat! First of all, delicious! Secondly, I am losing my mind. I just finished eating this. I cut it down to make a serving for one. The problem? I made it with a sweet potato. I had flagged this originally for my butternut squash. Since then my mind took an all too common detour to … middle age??? It wasn’t until I went to bookmark this to make again that I noticed the first ingredient is squash!! Then I remembered why I had this recipe flagged originally – for my butternut squash! Seriously, this is an all too familiar occurrence lately. I WILL try it with the squash, but let me confirm that it was great with sweet potato, too. I am so glad to know that it worked with sweet potato. It’s like the discovery of penicillin, a happy accident! Okay, maybe not that much of a world changing event- but you get my meaning. Thanks so much for coming back to let me know you like it Jean. Have a great day! This is currently in my oven and smells delicious! Just curious what the green is you sprinkled on it ? I used chopped curly parsley! I grow it in my garden, and sprinkle it on veggies for a colorful pop! 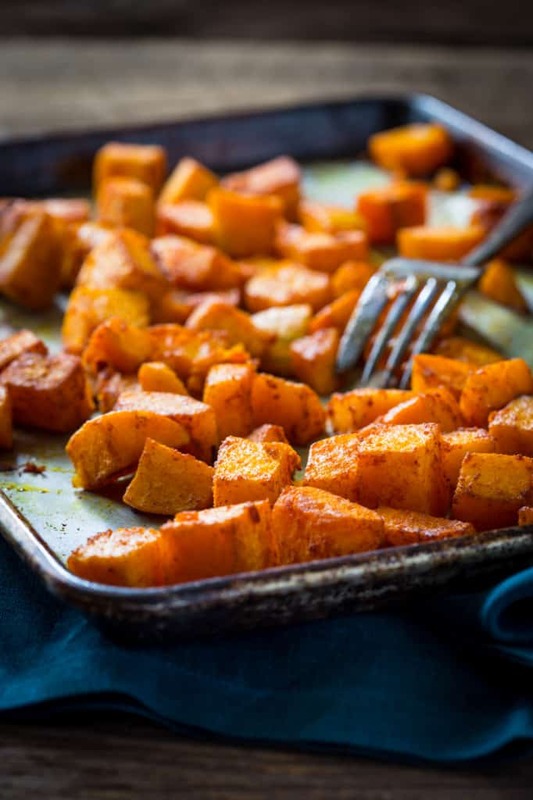 hmmmm is fantastic i like roasted butternut squash with smoked paprika and turmeric it’s great taste Full taste, beautiful gold colour,so so so so wonderful and tasty roasted butternut squash with smoked paprika and turmeric .Those look so perfect! Thanks for the recipe! Where is the actual recipe? I can’t find it on the page. Delicious, i used a bit of earth balance”fake butter” I added celentro and and I barely noticed them. Thanks for all your tips! This simple recipe is so delicious!!! I love how simple this recipe it. There’s nothing better than oven roasted vegetables in the fall/winter. 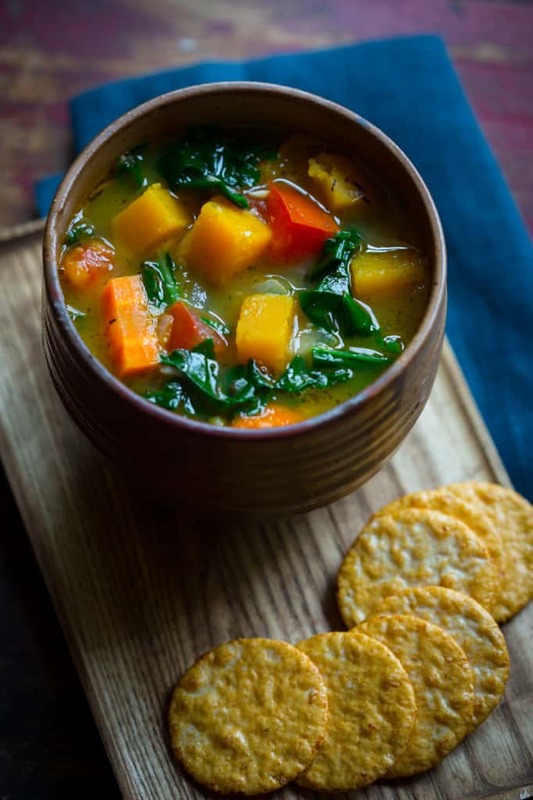 Those warming spices are a perfect compliment to the sweetness of the squash! What is difference between paprika and smoky paprika? Can i use regular paprika? Hi Shelley. Thanks for asking. Smoked Paprika is available in most supermarkets now. It is wonderfully smoky and imparts a smoky flavor to recipes. You can sub regular paprika but the flavor of the dish will be frankly boring by comparison. Delicious recipe!! I loved the savory, smoky flavors with the sweet squash. It complemented so well! Thank you for sharing! I plan to make this again. Hi Angelina. We had this recipe last week. 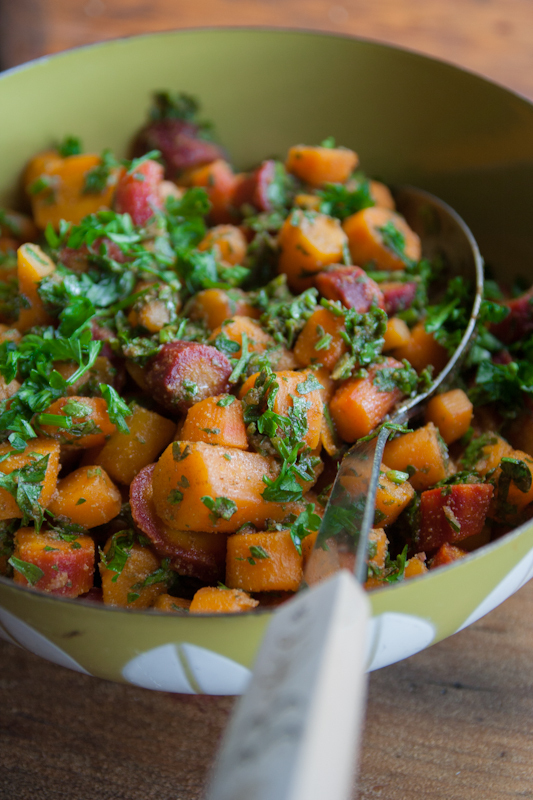 It remains one of my all time favorite ways to prepare butternut squash. If you try it again, add a pinch of cinnamon. I have been doing that lately, and I love the sweetness it adds to this blend. Thanks for rating! Happy Cooking!